The real estate investing landscape is as varied as it is potentially rewarding; there are more than a few ways to make a pretty good living. Everyone, for the most part, is familiar with today’s most popular exit strategies: rehabbing, wholesaling and passive income are all staples in the real estate investing community. It is worth noting, however, that there are several more investment opportunities offered by the same industry, not the least of which may prove just as lucrative as those I already mentioned. More specifically, tax deed investing has the potential to be a valuable addition to any investor’s portfolio, but it’s unfortunately often overlooked and misunderstood. Done correctly, and with a mind for due diligence, tax deed investing can prove a worthwhile endeavor. There’s absolutely no reason a real estate investor can’t make a living solely on investing in tax deeds, but I digress. Tax deed investing is not something I recommend for new investors, but rather seasoned veterans. Investing in tax deeds can get complicated and has its fair share of risks. However, those that can navigate the pitfalls that have become synonymous with this particular exit strategy could find their time and energy well spent. In its simplest form, a tax deed represents the consequence homeowners must bear in the event they don’t pay the taxes levied on their own home. When taxes go unpaid, therefore granting the tax deed to the local government body, it is within the rights of said government body to recoup the taxes they are owed by selling the property. Of course, there are several legal steps that must be completed before the tax deed can be acquired, but each step is contingent on the state the tax deed is issued. In other words, the tax deed process will vary in accordance with local and state laws. Through no fault of their own, a lot of people unfamiliar with the concept of tax deeds tend to get them confused with tax liens. If for nothing else, the two terms sound similar, but I can assure you their differences are worth noting. 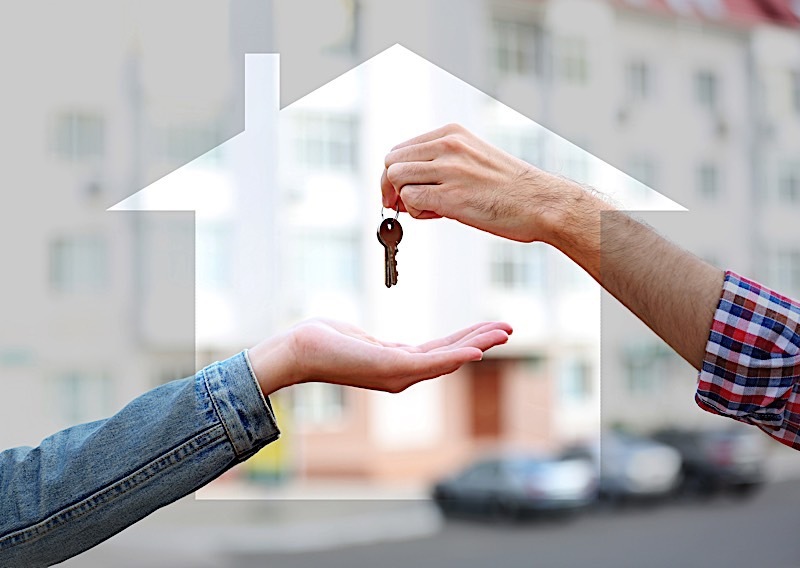 To be clear, both the tax deed and the tax lien processes are initiated once a homeowner neglects to pay the taxes levied on their property, but that’s where the similarities end. Once a homeowner is delinquent on their taxes, the government authority may choose to either pursue a tax deed or tax lien. In the event the municipality chooses to go the tax lien route, the resulting lien is auctioned off to a subsequent buyer (usually an investor), who then becomes entitled to collect the back taxes. Tax deeds, on the other hand, will have the local government auction the house off once a homeowner proves incapable of paying the back taxes. That way, they can use the proceeds from the sale to recoup the lost taxes. Though not as popular as its rehabbing and wholesaling counterparts, tax deed investing remains a viable and worthwhile endeavor for those that can understand the process. Of course, the viability of this particular exit strategy is directly correlated to the amount of knowledge one has on it. In other words, tax deed investing isn’t best suited for new, inexperienced investors, but rather savvy veterans. To truly place the odds in your favor, it’s in your best interest to learn everything you can about tax deed investing. Those who have dedicated the time and energy to learning the basics of tax deed investing will find it to be an attractive investment option. If for nothing else, tax deed investing awards savvy investors the opportunity to bid directly on a property, not unlike a foreclosure auction. In the event you place the winning bid, “you have a chance to foreclose on the property if the owner doesn’t redeem by paying their tax debt,” according to FitSmallBusiness. Perhaps even more importantly, investors have the opportunity to earn interest and penalties over the course of the redemption period. It is worth pointing out that each state’s tax deed process will differ. Some states, for that matter, may not offer as much of a grace period (the redemption period in which investors may collect interest while the homeowner attempts to pay the back taxes). Instead, some states see fit to sell off the title the same day as the auction. That means winning bids could land investors a new property in the same day they are placed. Again, each state will have its own rules regarding tax deeds. It is, therefore, safe to assume each municipality will have its own method for posting said tax deeds. It is not uncommon to find a lot of smaller counties still offering live auctions, whereas a lot of the larger cities have transitioned over to offering online auctions. Live Auctions: Municipalities without the capabilities to offer online auctions will settle for in-person auctions. Live auctions are, therefore, more common in smaller, rural areas where access to online features is, well, limited. To find the closest live auction in your area, be sure to contact the municipal or county treasurer’s office; they should be able to point you in the right direction. Online Auctions: Online auctions have taken hold in most parts of the country, and are a lot easier to find with a simple Google search. To find an online tax deed auction, try looking at some of the most popular sites: Grant Street Group, RealAuction and Bid4Assets. Each of these sites offers info on tax deed auctions, where to find them and how to participate. Tax deeds have proven they belong in a savvy investor’s portfolio, which begs the question: How should you go about buying them? You can’t take advantage of their benefits if you don’t know how to get the ball rolling. Tax deed investing follows the same golden rule of real estate investing that every other exit strategy abides by: location, location, location. Where you intend to invest in tax deeds plays an integral role in the process as a whole. You could even argue that location plays a larger role in tax deed investing than any other form of real estate investing. The process of investing in tax deeds is entirely dependent on the state and municipality you intend to work in. As I already alluded to, each state and local government has their own way of doing things. The state you intend to invest in will largely determine how you start, carry out and conclude the entire process. In addition to the location of the tax deed auction, the proximity of the home to the investor can also have significant impact on how a deal transpires. If for nothing else, it’s easier to invest in tax deeds when you can conduct the appropriate research. And while most tax deeds are carried out sight unseen, you still need to have an idea of what you are bidding on. If you can visit the area in which the tax deed auction is located, you may be able to glean everything you need from the local government. Try talking to the county treasurer, assessor, recorder and surveyor in order to gain a better picture of the home you intend to buy. These entities will have accurate information that can make your decisions a lot easier. Investing in tax deeds is quite a departure from your typical rehab or wholesale, but like every other exit strategy, it can be broken down into a system. That said, tax deed investing isn’t exactly harder; it’s just different. Those that want to take advantage of tax deeds had better study up on the system they will need to navigate to see things through to completion. Only those that know how the tax deed systems works, after all, will be able to capitalize on it. That means, in addition to knowing the respective state’s governing rules, investors will need to familiarize themselves with tax deeds in general and how each particular auction functions. Not unlike acquiring a traditional home, tax deed investors will need to conduct a great deal of research, as to determine whether or not the deal is worth pursuing. Above all, mind due diligence. Research everything from the size and the age of the property to its current and after repair value. And don’t stop there; proceed to check comparables and visit the appropriate government authorities. County treasurers, assessors, recorders and surveyors will be able to offer you a lot of useful information on a subject property. The country treasurer, in particular, will typically be conducting the actual sale and possess a list of the properties going up for auction. Not surprisingly, the county treasurer is a great place to start. Next, the assessor should be able to give you a good idea of the home’s value. Perhaps most importantly, however, the recorder will be able to answer any questions you may have about any liens, claims or judgements the property may have on it. Do not — I repeat, do not — attempt to bid at an auction until you have done the appropriate research. Neglecting due diligence is the surest way to sabotage your own investing efforts. That said, only once you have studied the homes you intend to bid on and the tax deed process itself can I recommend attending an auction. If you are comfortable that you are, indeed, prepared for what’s in store, feel free to participate in the auction. Price: Auction attendees will compete against each other by bidding prices higher and higher. Interest Rate: This type of auction will actually have bidders bid down the interest rates they are willing to accept. Premiums: Some auctions will institute a bid premium, which, when used, will counteract unrealistic bidding practices. Lottery: Lottery auctions will witness the property go to the lucky individual whose number was simply drawn. There is no bidding, and it’s all up to chance. After-Auction Sales: Not all tax deeds are auctioned off; some are sold after the auctions take place. Is Investing In Tax Deeds Right For You? Tax deed investing has proven it belongs in the mix with today’s best investment strategies, which begs the question: Is investing in tax deeds right for you? The only way to find out for sure is to learn as much as you can about the process as a whole. That said, investing in tax deeds is considered an advanced strategy; it’s a bit more involved than a traditional exit strategy, but can be well worth the time if executed correctly. If you are interested in furthering your tax deed acumen, I urge you to take a look at the Tax Lien & Deed Training offered by FortuneBuilders. From framing the conversation to the process itself, FortuneBuilders has broken down every step of the system so you can simultaneously secure tax deed properties and increase your chances of making money on a deal. Tax deed investing is an advanced exit strategy, but savvy investors should be able to capitalize in this lucrative field. Attending a tax deed auction can be intimidating, but those that are prepared could walk away with their next best deal. Not to be confused with tax lien investing, tax deed investing will have an investor take ownership of a home almost immediately after the auction process.